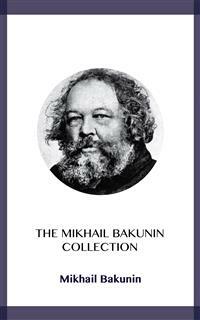 Mikhail Bakunin was a Russian revolutionary anarchist and founder of collectivist anarchism. He is considered among the most influential figures of anarchism and one of the principal founders of the social anarchist tradition. Thank you for your purchase. If you enjoyed this work, please leave us a comment. The Council of Action does not ask any worker if he is of a religious or atheistic turn of mind. She does not ask if he belongs to this or that or no political party. She simply says: Are you a worker ? If not, do you feel necessity of devoting yourself wholly to the interests of the working class, and of avoiding all movements that are opposed to it? Do you feel at one with the workers? And have you the strength in you that is requisite if you would be loyal to their cause? Are you aware that the workers who create all wealth who have made civilization and fought for liberty --and domed to live in misery, ignorance, and slavery? Do you understand that the main root of all the evils that the workers experience, is poverty? And that poverty--which is the common lot of the workers in all parts of the world--is a consequence of the present economic organization of society, and especially of the enslavement of labor--i.e. the proletariat--under the yoke of capitalism--i.e. the bourgeoisie. Do you know that between the proletariat and the bourgeoisie there exists a deadly antagonism which is the logical consequence of the economic positions of the two classes? Do you know that the wealth of the bourgeoisie is incompatible with the comfort and liberty of the workers, because their excessive wealth is, and can only be, built upon the robbing and enslavement of the workers? Do you understand that, for the same reason, the prosperity and dignity of the laboring masses inevitably demands the entire abolition of the bourgeoisie? Do you realize that no single worker, however intelligent and energetic he may be, can fight successfully against the excellently organized forces of the bourgeoisie-a fore which is upheld mainly by the organization of the State--all States. Do you not see that, in order to become a power, you must unite-not with the bourgeoisie, which would be a folly and a crime, since all the bourgeoisie, so far as they belong to their class, are our deadly enemies? -Nor with such workers as have deserted their own cause and have lowered themselves to beg for the benevolence of the governing classes? But with the honest men, who are moving, in all sincerity, towards the same goal as you? Do you understand, against the powerful combinations, formed by the privileged classes the capitalists or possessors of the means and instruments of production and distribution, the divided or sectarian associations of labor, can ever triumph? Do you not realize that, in order to fight and to vanquish this capitalist combination, nothing less than the amalgamation, in council and action, of all local, and national labor associations--federating into an international associations of the workers of all lands,--is required. 2. Never, in your personal interests, to compromise with the bourgeoisie. 3. Never try to attempt to secure a position above your fellow workers, whereby you would become at once a bourgeois and an enemy of the proletariat: for the only difference between capitalists and workers is this: the former seek their welfare outside, and at the expense of, the welfare of the community whilst the welfare of the latter is dependent on the solidarity of these who are robbed on the industrial field. 4 To remain ever and always to this principle of the solidarity of labor: for the smallest betrayal of this principle, the slightest deviation from this solidarity, is, in the eyes of the International, the greatest crime and shame with which a worker can soil himself. 1. The class-divisions existent in society, especially of these divisions imposed on society by, and in the economic interests of the bourgeoisie. 2. All Territorial States,Political Fatherlands and Nations, and on the top of the historic ruins of this old word order, the establishment of the great international federation of all local and national productive groups. The great mass of the workers, crushed by their daily toil, live in ignorance and misery. Whatever the political and religious prejudices in which they have been reared individually may be, this mass is unconsciously Socialistic: instinctively, and, through the pinch of hunger and their position, more earnestly and truly Socialistic than all the "scientific" and "bourgeois Socialists" put together. The mass are Socialists through all the circumstances of reasoning; and, in reality, the necessities of life have a greater influence over these of pure reasoning, because reasoning (or thought) is only the reflex of the continually developing life--force and not its basis. What prevents the quicker development of this idea of salvation amongst the Proletariat? Its ignorance; and, to a great extent, the political and religious prejudices with which the governing classes are trying to befog the consciousness and the natural intelligence of the people. How can you disperse this ignorance and destroy these strange prejudices? "The liberation of the Proletariat must be the work of the Proletariat itself;" says the preface to the general statute of the (First) International. And it is a thousand times true! This is the main foundation of our great association. But the working class is still very ignorant. It lacks completely every theory. There is only one way out therefore, namely--Proletarian liberation through action. And what will this action be that will bring the masses to Socialism? It is the economic struggle of the Proletariat against the governing class carried out in solidarity. It is the Industrial Organization of the workers-the Council of Action. The State is the authority, the rule, and organized power ofthe possessing class, and the make-believe experts over the life and liberty of masses. The State does not want anything other than the servility of the masses. At once it demands their submission. 1. The propagation of its ideas. 2. The natural organization of its power or authority, throughthe influence of its adherents on the masses. A person who can assert that, organized activity is an attack on tine freedom of the masses, or an attempt to create a new rule, is either a sophist or a fool. It is sad enough for these who don't know the rules of human solidarity, to think that complete individual independence is possible, or desirable. Such a condition would mean the dissolution of all human society, since the entire social existence of man depends on the interdependence of individuals and the masses. Every person, even the cleverest and strongest – nay, especially the clever and strong – are at all times, the creatures as also the creators of this influence. The freedom of each individual is the direct outcome of these material mental and moral influences, of all individuals surrounding him in that society in which he lives, develops, and dies. A person who seeks to free himself from that influence in the name of a metaphysical, superhuman, and perfectly egotistical “freedom” aims at his own extermination as a human being. And these who refuse to use that influence on others, withdraw from all activity of social life, and by not passing on their thoughts and feelings, work for their own destruction. Therefore, this so-called “independence,” which is preached so often by the idealists and metaphysicians: this so-called individual liberty is only the destruction of existence. What we seek is the abolition of the artificial, privileged,lawful, and official influence. If the Church and State were private institutions, we should be, even then, I suppose their opponents. We should not have protested against their right to exist. True, in a sense, they are, today, private institutions, as they exit exclusively to conserve the interests of the privileged classes. Still, we oppose them, because they use all the power of the masses to force their rule upon the latter in an authoritarian, official, and brutal manner. If the International could have organized itself in the State manner, we, its most enthusiastic friends, would have become its bitterest enemies. But it cannot possibly organize itself in such a form. The International cannot recognize limits to human fellowship and, whilst the State cannot exist unless it limits, by territorial pretensions, such fellowship and equality. History has shown us that the realization of a league of all the States of the world, about which all the despots have dreamt, is impossible. Hence these who speak of the State, necessarily think and speak of a world divided into different States, who are internally oppressors and outwardly despoilers, i.e., enemies to each other. The State, since it involves this division, oppression, and despoliation of humanity, must represent the negation of humanity and the destruction of human society. There would not have been any sense in the organization of the workers at all, if they had not aimed at the overthrow of the State. The International organizes the masses with this object in view, to the end that they might recall this goal. And how does it organize them? We all know that our program is just. It expresses in a fewnoble words the just and humane demands of the proletariat. Just because it is an absolutely humane program, it contains all the symptoms of the social revolution. It proclaims the destruction of the old and the creation of the new world. It might be answered that not all workers, even when they are members of the International, can be educated. It is not enough, then, that there are in the organization, a group of people, who – as far as possible - re-acquainted with the science, philosophy, and policy of Socialism? Cannot the wide mass follow their “brotherly-advice “ not to turn from the right path, that leads ultimately to the freedom of the proletariat?